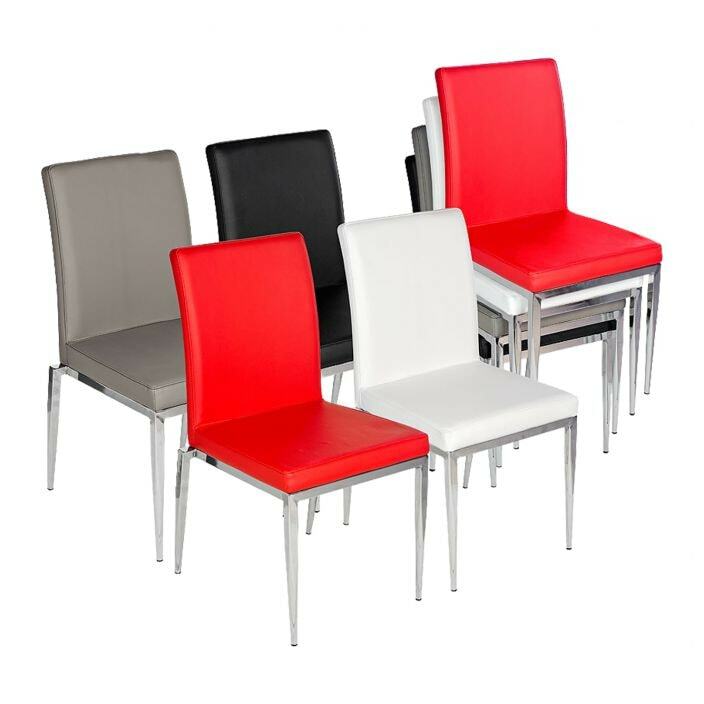 The Alberta stackable modern dining chair is covered in a upholstered leather-look PU and is available in black, white, grey and red. A fantastic addition to our range of modern and contemporary furniture, this handcrafted chair is sure to impress. working exceptional either on its own or complimented alongside our range of shabby chic and antique French furniture.